First, we are about exposing the "Dirty Little Secret of Guitar Instruction". What is that dirty little secret? These students have been trying to learn to play guitar for decades - using every kind of method out there. Guitar Principles is the TRUTH about learning guitar. It is the guitar instruction you've been searching for! ​* Most guitar students fail to learn to play guitar!...sad, but true. * The people that learn to play soon get stuck and go for years and decades without getting any better! These are the fundamental facts of guitar education that Guitar Principles addresses. After exposing the "Dirty Little Secret of Guitar Instruction"......We give you the answer to all the guitar problems you have had for so many years! This book has changed the lives of thousands of guitar players! "The Principles" is the only guitar method based on the scientific principles of how muscles learn movements. Because it is scientific, it works for everyone! 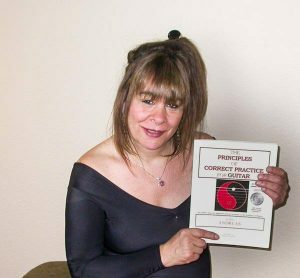 In 1998 I wrote "The Principles of Correct Practice For Guitar". After 25 years of research into why people had trouble learning the guitar, I created a system for learning guitar that worked for everyone. Shortly after publication, students began to fly to me from around the world, looking for the answers they had been seeking for years. They found them. And the one thing I have seen over and over is people who have been trying to play for years, even decades, and they still can't play anything well. They can't play without breaking down, so they can't make music. The other thing I see over and over is people who can play, but they haven't gotten any better in years, even decades. Every time they try to play something more advanced, they run into the same problems, and are stopped in their tracks. What I have done is this: I have found out why people struggle with guitar, and I have invented a method that makes it possible for anyone to learn guitar, and keep getting better - that is it in a nutshell. Guitar PrinciplesGuitar Principles is the guitar instruction you've been looking for - but didn't think existed. Think of me as "The Guitar Doctor! I fix guitar players. 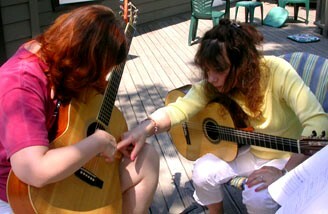 I heal their playing problems and make them happy, growing, "making music" guitar players! Watch how I turned this struggling guitar student from someone who could NOT play the tricky guitar parts in "Fast Car"..............to someone that could! Ready to see how good YOU can really be on guitar? Take on online lesson with Jamie and change your guitar playing life instantly! 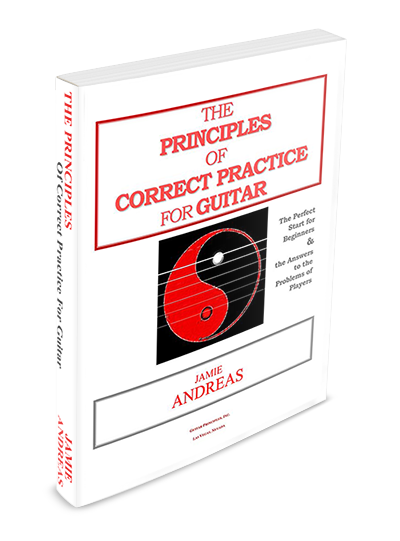 Get "The Principles" now, and start learning everything you never knew about playing guitar! Take lessons directly from Jamie! Show students how to practice correctly for effective results from time spent. Teach students how to solve specific technical problems they are having, such as troubles with speed, strumming, accuracy, chord changes, etc. Organize students practice to fit their level and goals, making sure all key areas are covered. Develop students as a musician, making sure the student has the emotional involvement with their music that a musician must have, as well as the mental understanding of the music they are playing. Start Learning With Jamie Now! This player needs "The Principles"! Are you frustrated by lack of progress? We turn struggling guitar students into happy guitar players! By giving you the fundamental finger training that all other methods and lessons don't! Practicing but not getting better? We show you how to get solid results from every practice session. Guitar playing going okay? We give you the tools to be better than you ever thought possible! I've recently started using "The Principles". I'm absolutely loving it so far. Your approach lines up perfectly with what I have learned in the past from meditation, yoga and lifting weights and seeing all the parallels is incredible and convinces me that your method will work for me. I've been in a rut for a while, now I'm super excited about practice! Jamie is the only instructor who teaches the physical ability to play guitar! Folks, it’s absolutely true that Jamie is the only instructor who teaches the physical ability to play guitar. Except for those teachers who are wise enough to use Jamie’s method, I suppose. Jamie's work is so incredibly unique and necessary. As a professional musician and music educator, I'm living proof that what Jamie teaches is completely valid, and it works! If someone only cares about the chords or notes of a song, geez they don't need to pay me or any other teacher. Use Google and find that info for free. But "how" to play these things? Much different story, and Jamie is THE master at this! Hi, I'm Jamie Andreas. I started playing guitar at age 14, by 17 I was giving concerts and teaching guitar. The first thing I noticed when I began teaching was that I was a terrible teacher! How did I know this? Because although I played pretty well, most of my students were struggling, they could NOT learn guitar as easily as I did. I was so upset at taking people's money and not turning them into guitar players (which is what they were paying for!) that I quit teaching. 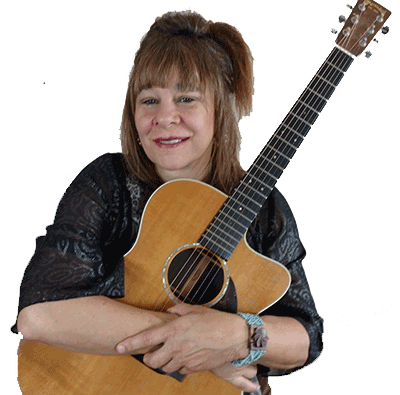 When I returned to teaching a few years later, I had a new mission - I was going to figure out a system that worked for everybody, a teaching method that would make anyone who used it a REAL guitar player. 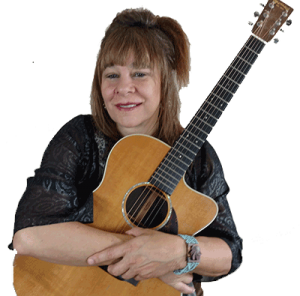 It took 25 years to create this system, 25 years of teaching all styles of guitar to all ages and levels of students, from 5 years old to 85 years old. I spent years studying certain subjects that are vital to training fingers to play guitar - anatomy, motor control learning, yoga and tai chi to name a few. Finally, I developed a foolproof system of practice approaches and finger development exercises that - to the great satisfaction of myself and all of my students - worked for everyone! In my research, I noticed that existing guitar methods merely give you content..they show you WHAT guitar players do. 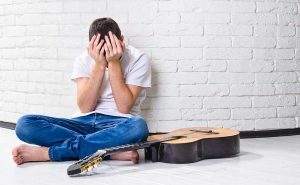 I noticed that most guitar teachers merely demonstrated good playing to their students, over and over, and hoped the student would be able to do it too. This teaching method works - for about 1% of the population! I wanted to be successful with 100% of my students! “I realized that guitar students did not know the "invisible" details of body mechanics involved in guitar playing that good players take for granted. They did not know how to practice in a way that allowed the hands and body to gradually adapt to the new and unusual demands that guitar playing places upon us. Instead, their practice habits created deadly muscle tension that locked into the body which either prevented or limited all future progress." When you know how to practice so that your fingers REALLY learn the movements, and when you learn the secrets details of finger movement that other guitar lessons never tell you........you will FINALLY be able to learn, master and PLAY all of that wonderful music that has been piling up on the shelf all these years! Most guitar methods merely give you content..they show you WHAT guitar players do. They do not teach you how to train yourself to do it too! That is where Guitar Principles is different. Show Me HOW To Get MY Fingers To Do It! I am so happy to tell you that my mission was successful. Thousands of students around the world have testified to this fact - from beginners to long time players, from strummers to shredders, all of them have found the key to success and continuous improvement using "The Guitar Principles Path To Guitar Mastery". No matter how long you have struggled to learn guitar, no matter how long you have been stuck at the same playing plateau, Guitar Principles will give you the knowledge and training you need to become the guitar player you always wanted to be. You will be amazed by what you will learn, and you will wonder why no one ever told you before! If you feel like you are not making the progress on guitar that you should - "The Principles of Correct Practice For Guitar" (the beginning of the Path) is what you are missing! Reach Your Full Potential On Guitar. Send Me Your Questions Now! "To enable anyone who wishes to play the guitar to be able to do so, and to enable anyone who already plays to get to their next level of ability. This is done by teaching the student the "The Principles Of Correct Practice For Guitar"